Back in 1994, when I was a student at Ravinia's Steans Music Institute, one of my highlights was performing Schubert's E flat major trio. I cannot remember if it was after the dress rehearsal or the actual performance, that a person came to me and started talking about Schubert's music in correlation with my playing. It's been nearly twenty years and I remember that conversation quite vividly. He was chubby looking, open hearted and warm. From his musical insights and inquiries it was obvious that he was no stranger to this music. On the contrary, he knew it intimately. 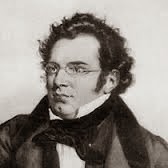 At one point he addressed the challenges a pianist faced when trying to produce a singing tone on the piano, especially in music of the master of song literature Franz Schubert. Getting more specific he spoke about the way I trilled, the singing aspect. He was very complimentary, supportive and loving. A few years later I learned that that person was Edward Gordon (1930-1996), the vision and force behind the whole program known as the Steans Institute of Music… or as he simply introduced himself: "my name is Ed." Ed served as Executive Director of the Ravinia festival between 1968 and 1990. Back then he articulated to the Board of Trustees his vision to create a comprehensive educational program. "I have long felt that many young artists never attain their potential as performers, not from any lack of fine teaching and necessary skills, but because they have not had certain opportunities at a critical time in their development. The most important opportunity is having prominent performance platform, where listeners include peers, artistic leaders, and the important general public." Quite a VISION! Jump starting to the summer of 2013, I was invited again to teach at the Steans. My week comprised of coaching Beethoven and Brahms, Chopin and Schumann. At my last day I was asked to give an extra coaching on a piece I could not recall ever coaching before - Schubert's Trio in E flat. It was a Friday night, late after everyone had dinner. A few students still practiced, most already left. Instead of going to a teaching classroom the students and I had the hall to ourselves. I sat in the middle of this wonderful space, while the group played the slow, lyrical second movement. The playing was beautiful, well meant and heart-felt. I started to ask for something, but could not quite articulate what was it that I wanted. I was searching for the right quality or sound, looking for that special singing tone - what Ed Gordon and I were discussing back then. I asked the cellist, who had the opening tune to search for the right voice. It was not there yet. The legendary cellist Bernhard Greenhouse used to say: "you will be judged by your VOICE!" But what is your voice? Where and how to find it? I kept insisting, going back and forth to the beginning, to find that special sound - an internal beauty, a quality, a voice, that exists only within you. Perhaps a slower vibrato, using less hair on the bow, softer attack on the string… pilling one layer after another - layers of uncertainties, insecurities, self-doubts - slowly a glimmer of light, a miracle surfaced. An inner-voice started to shine, piercing the air. It was shivering and luminous. It had a glare, a hallow. We could hardly breath. It was meaningful! The pianist was forced to play half as much to support, to caress that shimmering voice, to coarse it. All of a sudden a door opened and a phantom walked in and sat next to me. It was Ed! I froze in my sit - could not move, could not talk. Ed died in 1996, yet he was sitting there next to me. He came to VISIT his vision. It was a long day, it was a long session. It ended when the building closed close to midnight. The next day we had a big barbecue. I went and told the story to Paul Biss who coached me that Schubert Trio when I was a student. He shared with me that after that conversation I had with Ed many years ago, they all had lunch and Ed brought it up saying "this was my vision when I thought of this place". "You will be judged by your voice", said Bernard Greenhouse. For Ed that voice was a vision. On that day his vision turned to be a voice that came to visit me when I listened to Schubert.